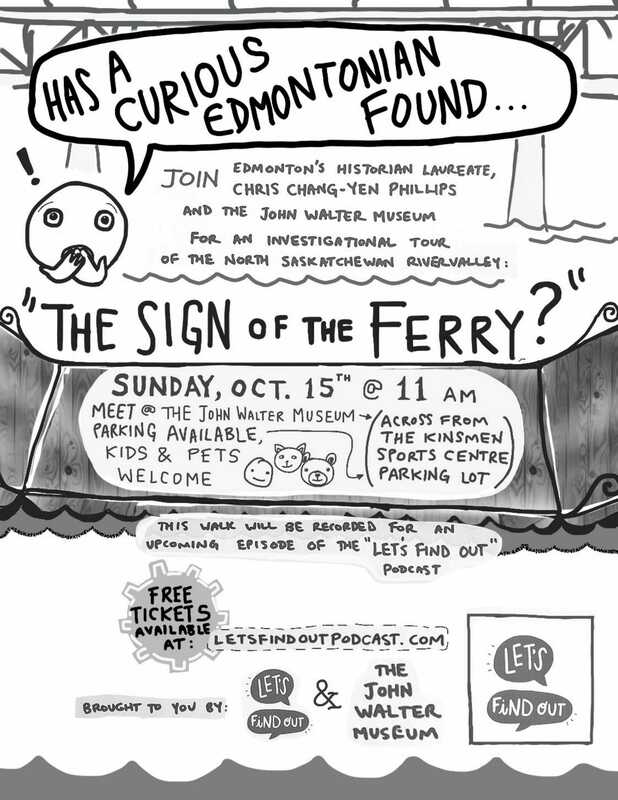 Raymond Matthias asks if he’s found the remains of John Walter’s ferry. 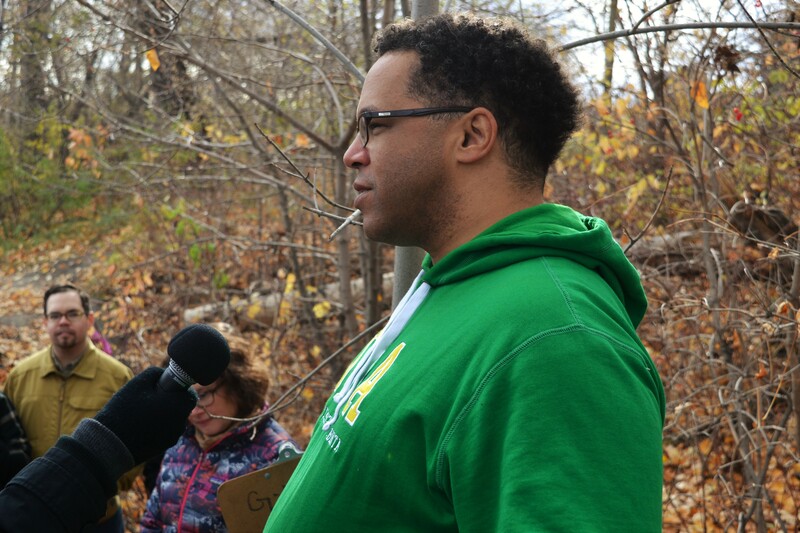 In this episode, we took a live history walk into the river valley to examine the debris he found and get to the bottom of his question. Um not to brag, but this poster was objectively amazing. Poster design by F C-Y Phillips. Listen first, then read below for more information. 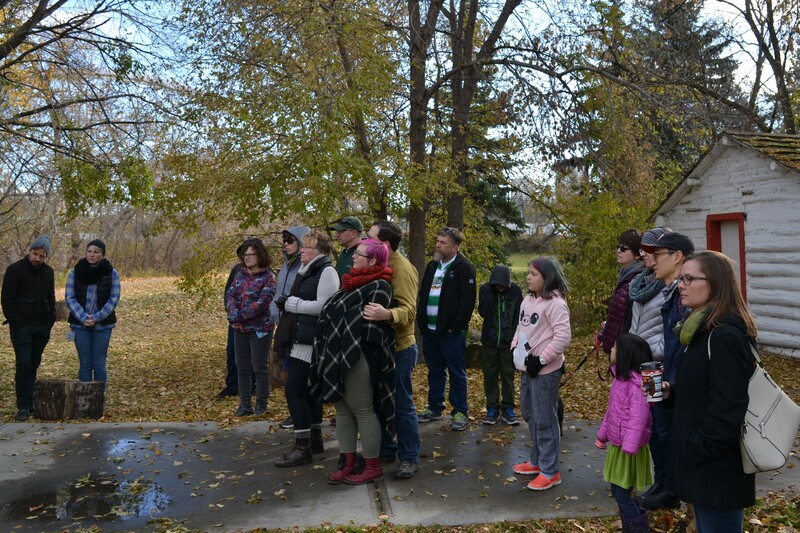 Our story began when Raymond found wooden debris in the North Saskatchewan River Valley, just down the bank from the John Walter Museum. 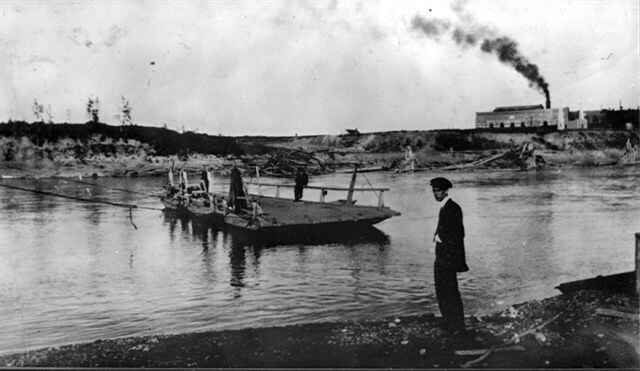 He knew that John Walter operated a ferry service back and forth across the river around the turn of the 20th century, so he wondered if this might be the original ferry. 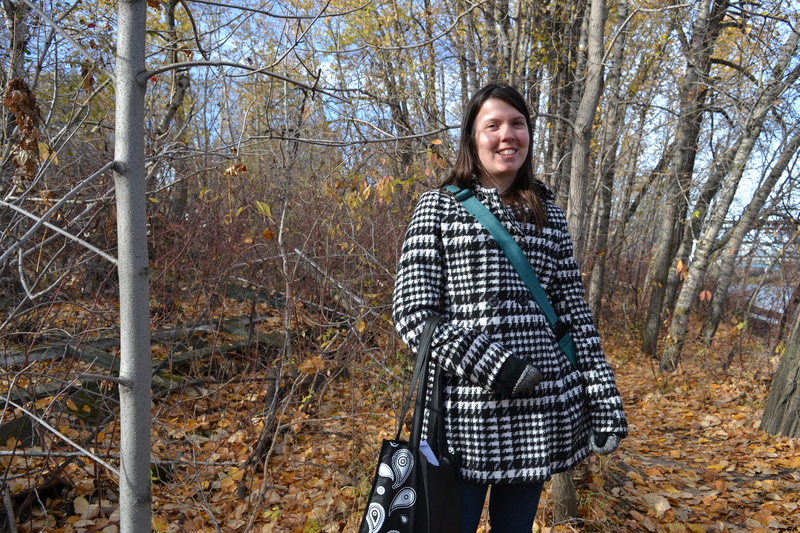 The John Walter Museum’s Jade Dodd gave us an introduction into John Walter’s life. 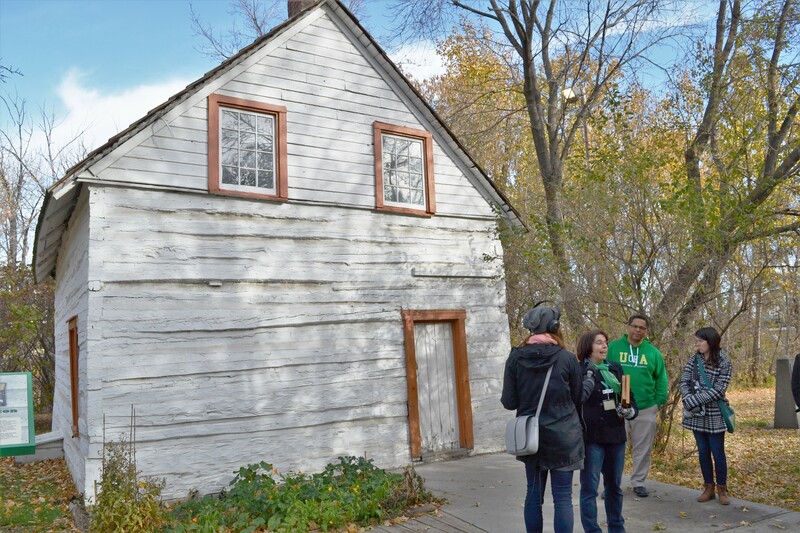 Jade Dodd standing in front of John Walter’s first house, which forms part of today’s John Walter Museum. The crowd that joined us for the walk. 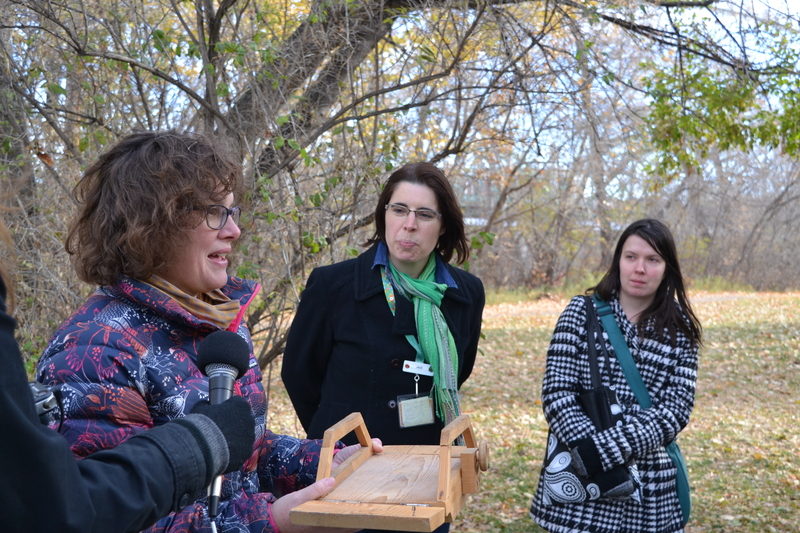 Heather Kerr, curator of Edmonton’s heritage collection, with a small wooden model of John Walter’s ferry. 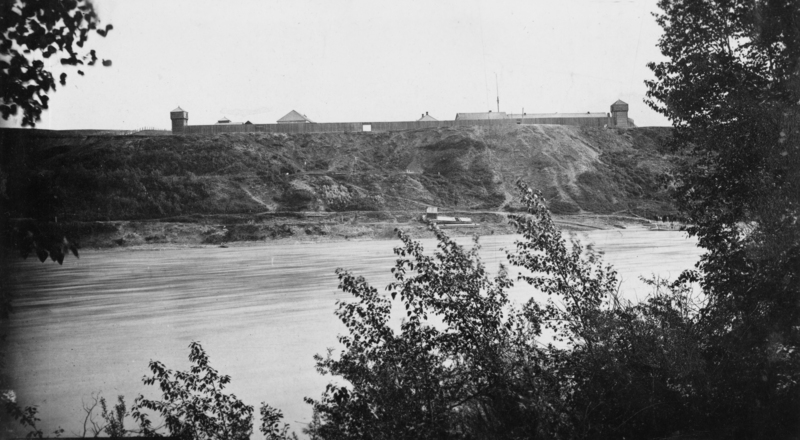 John Walter’s ferry service provided a crucial transportation link between the two banks of the North Saskatchewan River before the High Level Bridge was built in 1913. It was a very short walk from the museum to the site of the debris that Raymond was curious about. It looked ferry-like, and old… but did the paint look too new? Tree Time Services permit archaeologist Brittany Romano joined us to talk about what to do when you find a possible artifact, and what we could observe from this site. Brittany Romano, with the debris behind her. 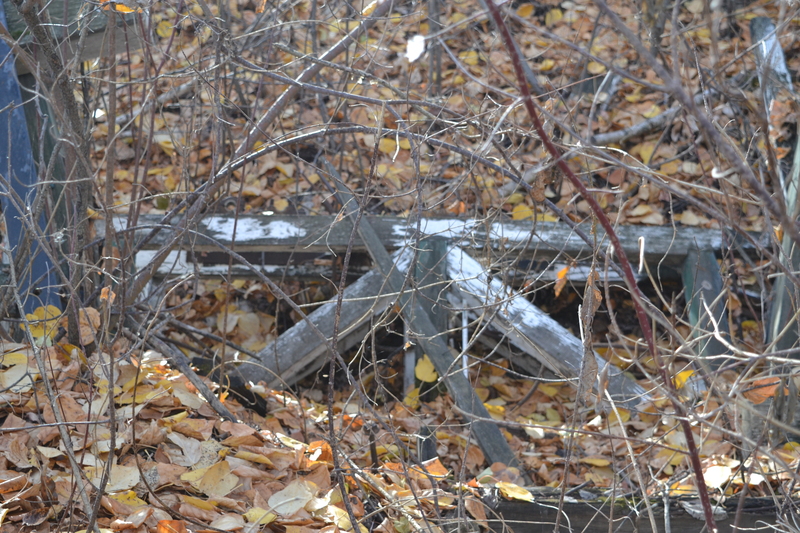 This site is just beside the new Walterdale Bridge (aka Junior), and the old green one being dismantled as we recorded. 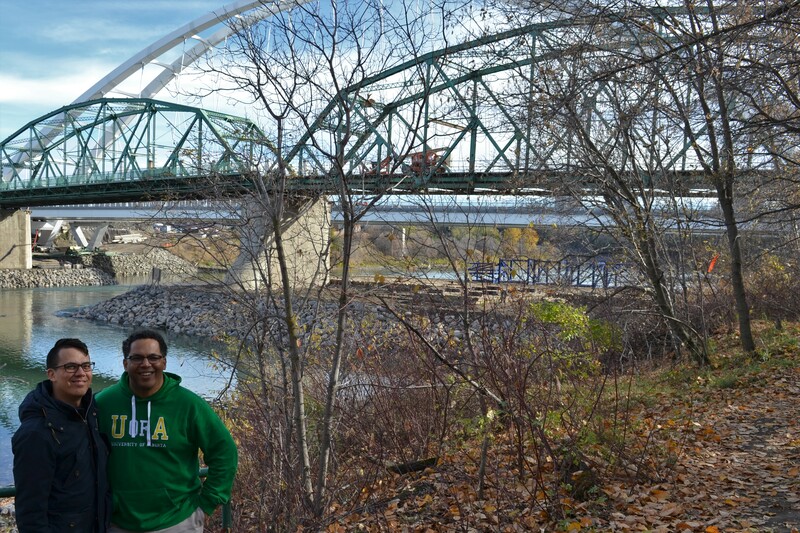 Chris Chang-Yen Phillips and Raymond Matthias in front of the two Walterdale Bridges.